As you’ve probably noticed, I love sewing my own clothes! I’ve compiled reviews of my #memades in this post and this one. And I’ve written up a few tutorials: linen top, silk sweater. With all of this sewing, I’ve narrowed down my absolute favorite online fabric stores, so I figured I’d compile a list of them into one post. Huge array of weights and colors – once you start exploring, you’ll see that this site offers a wide variety of linen weights and a nice array of colors. I tend to stick to black, but have also been very happy with their Nine Iron (charcoal gray), and Wild Cherry. My favorite weight is their midweight IL019, but I’ve also made one piece with their heavy-weight 4C22 and it has a really nice heft and structure. It would make a great jacket! 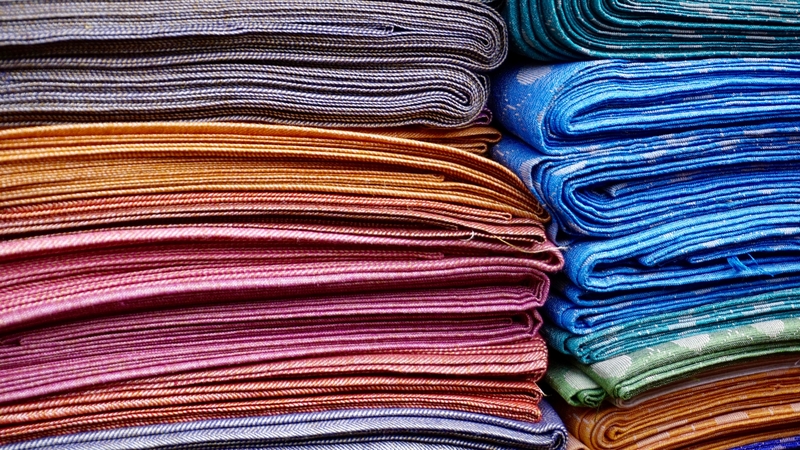 Fabric weight and hand – I’ve noticed that all linens are not the same. For example, Elizabeth Suzann’s linen has an exception feel and drape. It’s almost silky, but still a substantial weight. Linenfox linen feel a little more homespun. It’s still a good weight and drape, but the weave is slightly rougher. Fabrics-store linen is similar to Linenfox, in my opinion. I have to caveat by saying I always buy the softened version of their linen, so one of their other finishes may have a more sophisticated hand like ES linen. Samples – It is super easy to order a few samples of fabric to get a true sense of a color. And the sample cards are very professional – it just feels like a class act. Customer service – There have been a few times I’ve altered or canceled an order at the last minute. Their Customer Service team has always been quick to respond and super helpful. Shipping is fast as well! My favorite place to buy silk noil (sometimes called “raw silk”) fabric is Prism Silks. Nicole has both an Etsy store and a standalone website. Great prices – Nicole’s prices on silk noil are the best I’ve seen. She has all the colors we know and love, including burnt umber (she calls it caramel), olive green, mist gray, and neutrals like natural, black, and beige. She also has hundreds of hand-dyed colors. High quality – as far as I can tell, this is the exact same silk noil used by makers like Jamie and the Jones. The quality is great — it’s an easy fabric to sew with, has a warm, nubby feel, drapes well, and is cool in warm weather, warm in cool weather. I’ve barely tapped the potential of this amazing fabric store. They have such a selection — wools for coats and jackets, silk noil, knits, etc. The coolest thing about Stone Mountain is that they occasionally carry deadstock fabric from Elizabeth Suzann. For example, I recently bought some black cotton twill fabric. It’s the exact fabric ES used for their cotton twill Clydes (no longer available.) I have a pair of Clydes in this fabric and love them, so I bought some of the cotton twill fabric to make another pair when this pair gives out. Stone Mountain also has the same silk noil fabric as Prism Silks, but their prices are higher, so I haven’t ordered from them. I could have placed my olive silk noil fabric with them when Prism Silks was out of stock, but I decided it was a blessing in disguise and I don’t need another piece of clothing at this point! Thanks -I appreciate having another sewer recommend fabric stores!